From Beau’s All Natural Brewing in Vankleek Hill Ontario co-operatively brewed with Crannóg Ales of Sorrento BC comes their “Black Strap Boot Strapper Porter”. The beer pours a deep chestnut colour with a tan head. The aroma consists of molasses, coffee, chocolate and a sweet finish. The flavour is of molasses, chocolate, ash, roasted malts, plum, burnt coffee resin and mild bitterness. The alcohol content comes in at 5.8% with an IBU of 30. The body was a bit on the thin side but the flavour was right on point! Commercial Description: Blackstrap Bootstrapper is a classic British-style porter brewed with an addition of fairtrade organic blackstrap molasses. 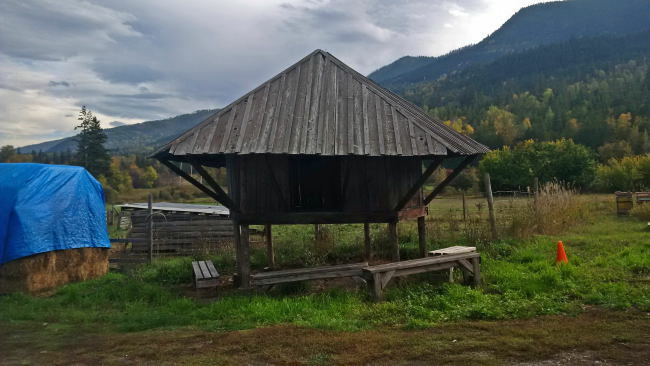 The recipe uses Challenger hops harvested from Left Fields, the certified organic farm on which Crannóg Ales stands, located in the sunny Shuswap region of BC. Food pairing as per brewery: Beef, oyster and porter pie (British traditional pie), bacon-wrapped scallops on the BBQ, dark chocolate pudding. I have been drinking beer from Crannóg Ales for a few years now and have always been a big fan of what they produce. Being in the Okanagan for Thanksgiving I decided it was high time I took a day trip up to Sorrento BC in the Shuswap and visit the brewery. The brewery has growlers for sale but otherwise you have to schedule your visit with the staff in advance. When you arrive at the property you won’t find your average brewery. Not only is there a brewery here as they are also a sustainable farm as well. 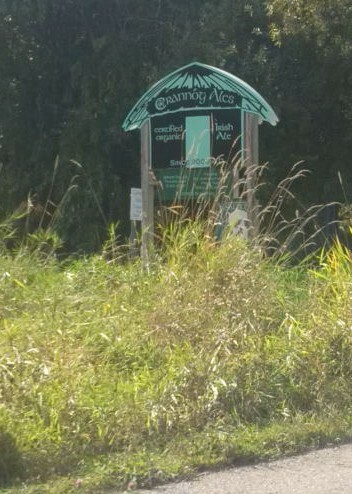 Crannóg Ales is a certified organic farmhouse microbrewery and was the first ever to open up in Canada back in 2000. The farm feeds the brewery and the brewery feeds the farm. Hops, fruits and or vegetables are grown on site and used in the brewing process. The spent grains from the brewing process are used to feed the animals on the farm. From sheep and chickens currently on site to the pigs that they have on occasion. The animals are used to fertilize the crops instead of adding fertilizers. The farm and brewery also run on a well. This means that the brewery and farm are currently at full capacity and will never increase their production. I really liked the fact that all water used in the brewing process is collected in a tank and redistributed into the fields to water the plants. Here are some photos of the farm that I took while on the initial stage of my tour of the brewery. Once the tour of the farm was complete we headed to the brewery building to learn about their brewery itself. The first piece of information that was passed on is that the brew system and a good portion of their tanks come from the godfather of modern day craft brewing in Canada, John Mitchell. Mr Mitchell was the first modern day craft brewer in Canada opening up the Horseshoe Bay Brewing Co in 1982. He went on to help set up both Spinnakers Brewpub and Howe Sound Brewing. I find it amazing that this piece of Canadian craft brewing history is still being used today! 32 years and still going strong! The brewery uses open fermentors which is not the norm in Canada. I love the fact that this brewery sells party pigs also. A party pig is an 8.5L mini keg of sorts with a tap on it that you keep in your fridge and drink at your leisure. When the tour of the brewery was done we were taken to a small tasting room that is only used for tours. It is hidden off to the side of the brewery and you would never know that it was even there unless taken to it. We were able to try samples of all of their beer that they had on tap. from here you could choose to buy prefilled growlers of their beer if you would like. I think they trade old growlers for new if you have Crannóg branded growlers. We also learned a cool bit of information on why they named the brewery Crannóg Ales. a Crannóg was a dwelling built on stilts in Ireland and Scotland up until the 17th century in lakes or swamps. This helped maximize the area of land that could be cultivated or used as grazing land. Learn more here. The photo below is a representation of a Crannóg. This Crannóg used to be on much higher stilts but was shortened after a large snowfall almost brought it down. If you have a chance to check out Crannóg Ales in Sorrento I highly recommend it as the tour is highly informative and it is just so different than anything else going on in British Columbia. From Sorrento in the Shuswap area, just north of the Okanagan Valley’s Crannog Ales comes the “Gael’s Blood Potato Ale”. They grow many of the ingredients for their beer and the spent grains are fed to the animals on the farm. All of their ales are only available on tap in BC pubs and restaurants. Every ale they produce is a Certified Organic Irish style Ale. This beer pours a clear but deep amber/copper colour with a tan head. The aroma of this brew is of potatoes, earth, slightly smokey, very malty, caramel and floral hops. The flavour of the beer is of potatoes up front with earth, bread, caramel and a really strong maltieness and a mild hops bitterness. This beer has a very nice balance between hops and malts even though the malts are far more obvious. This is one complex brew and I can not wait to have my next pint! The beer has an alcohol content of 5.2% and an IBU of 48. 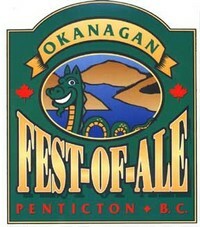 “Best Beer” at the Okanagan Fest-of-Ales 2005; and “Best organic Alcoholic Beverage” at the Organic Harvest Awards, 2006.